Focke-Wulf Fw 190 ‘Dora’ and Ta 152 interceptor aircraft of the Luftwaffe. The last surviving example of the ‘Dora’, is this Fw 190 D-12 at the US fighter museum Champlin. Focke-Wulf Fw 190 D .
Type: German Luftwaffe interceptor aircraft. 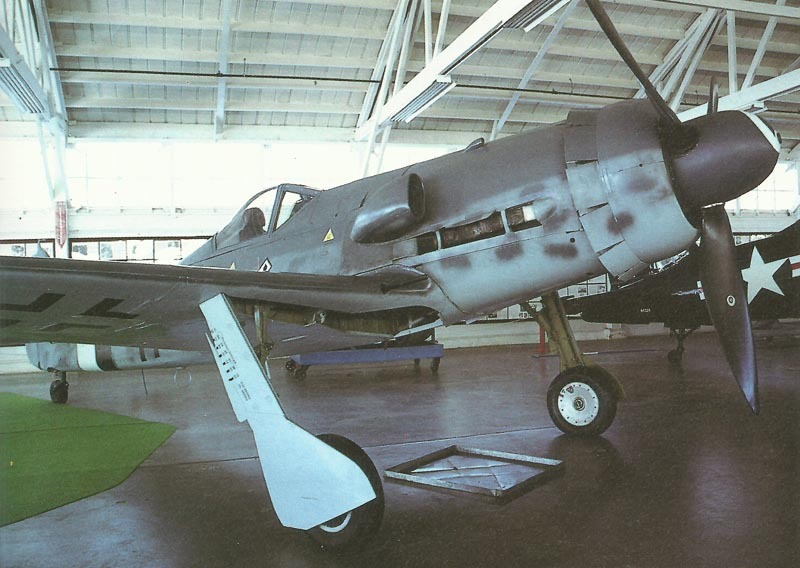 The Fw 190 A models should have been exchanged in preference to the long­nosed Fw 190 D or ‘Dora’. The D models, which in turn several 650-700 aircrafts had been produced, started out from prototypes with the 1,776hp Jumo 213A-1 power plant, equipped by having an annular cooling air duct that serviced the ‘radial’ visual aspect. Initial Fw 190 D-0s and D-1s had been distinguished, besides their extended cowlings, by extended rear fuselages as well as (on the D-1) enhanced fin area. The main manufacturing model (designated to go along with the Fw190 A-8) was the Fw 190 D-9 interceptor, which went into action with III./JG54 in 1944 and was equipped with a pair of MG 151/20 wing guns and 2 x MG 131s above the power plant. This interceptor entered manufacturing during the fall of 1944, following a long development. It was once again the fastest piston-engined fighter of WW2. Respected by many people as the Luftwaffe‘s greatest piston-engined interceptor of WW2, the D-9 would have been to accompanied by the D-11, 12, 13, 14 and 15; but no significant manufacturing of these versions had been carried out. The D development aircraft, converted from an A-7 with Jumo 213A-1 engine. The second production version of the Ta 152 was the C-series, without the long-span wing. This had a normal armament of one 30mm MK108 and four MG151 20mm, and first flewn in December 1944. Ta 152 H development aircraft, converted from an Fw 190 C.
The culminating fighter in the whole family was the Ta 152 H, a fabulous performer at high altitude. This example is seen at Cottbus in 1945. Later D-models were redesignated Ta 152 in merit of the manager of Focke-Wulf’s develop staff, Dipl.Ing. Kurt Tank. The first Ta 152 C models had been remarkably impressive, however the long-span Ta 152 H given up weapons for speed and flying height. Kurt Tank himself without difficulty outpaced a flight of P-51D Mustangs which surprised him on a trial trip; however only 10 of the H sub-type had flown before WW2 was over. Tagged 1944, focke-wulf, fw 190, germany, luftwaffe, single-seat fighter.